Unless you’re hiding under a rock, you’ve heard about Hurricane Florence barreling towards the east coast. I’m a couple hours inland from Myrtle Beach and I’m praying that this hurricane turns and goes back out to sea. However, you always need to be prepared. This morning, I watched a reporter interviewing people on our coast who have chosen to ride this one out and stay put. I don’t understand anyone desiring to stay in a place that has been evacuated. Yes, oftentimes the weatherman gets it all wrong, but what if he’s right? Please evacuate if so ordered. It’s always better to be safe than sorry. Let’s look at 5 simple ways to prepare for a hurricane. 1. Have an evacuation plan in place. You should also have a plan for your pets. If you are evacuating with a pet, visit petswelcome.com for a list of animal-friendly places to stay in your area. Don’t wait until the last minute to evacuate. Plan ahead! 2. Have the essentials on hand (before they sell out). Food – Visit Direct Energy to download a complete Hurricane grocery list. Place copies of important documents and store in a waterproof container. Cover windows with plywood and add extra security to doors. Secure all outdoor furniture. Bring children’s toys, bicycles, etc. inside. Turn freezer and refrigerator to lowest settings in order to preserve food longer in case of a power outage. Make sure your laptop and phones are fully charged. Stay informed and heed the directions of the Red Cross and government officials. Do not walk, drive or swim through flood waters. For more safety and preparedness tips, please visit AccuWeather.com/Ready. 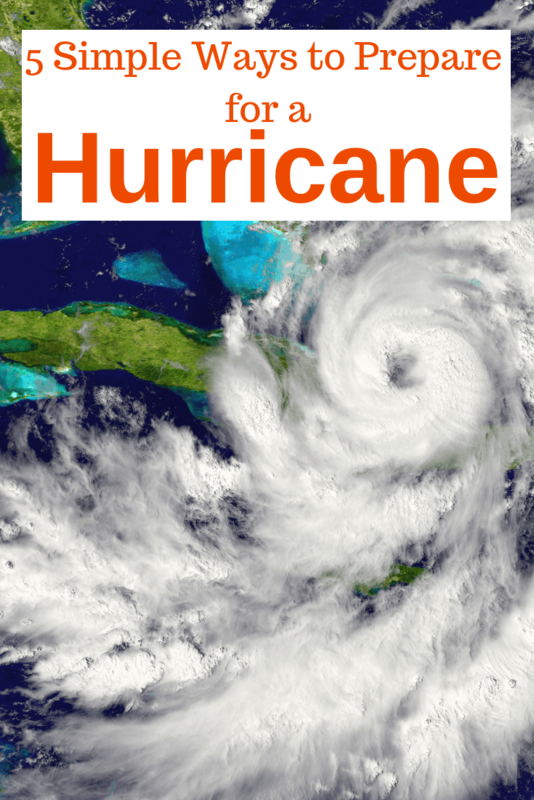 Another handy resource is this Hurricane Seasonal Preparedness Digital Toolkit. What additional ideas do you have to prepare for a hurricane? Thanks for sharing the post, this is really informative. But what about other Insurance Policy like Flood Insurance, I suppose Home Insurance Policy doesn’t give much coverage for Floods they are minor flood coverages. What do you say? Having just endured Florence, I can’t stress enough how important that people take pet planning for hurricanes seriously. We have 3 dogs and were definitely not prepared because where we are in NC in was never really a major issue. But you never know what mother nature will do so much better to be prepared and not need it then be scrambling at the last minute when you realize you need to evacuate. Anyhow, great post and keep up the great content! Those are some really useful and amazing tips. Thanks for sharing the knowledge! I will definitely take note that households should cover windows with plywood and add extra security to doors. In my opinion, they should make sure that their roofs can withstand hurricanes. My suggestion to homeowners is to find a hurricane roofing contractor as soon as possible. Hiring one to set up a special kind that is impervious to this weather pattern can help minimize the damages done to the home. I do find it helpful that looking through online listings of pet boarding sites can help keep pets safe during storms such as this one. In my opinion, another way to keep them safe is to send them to a pet service regularly. Doing this will keep them healthy so that they can have enough energy to brave the storm with or without their owners.